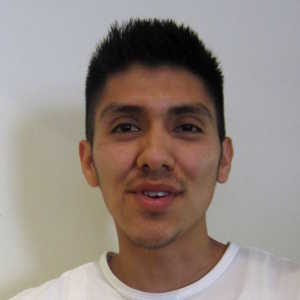 Born into Santa Clara Pueblo in 1987, Johnathan Naranjo is the son of Forrest Naranjo and grandson of Bernice Naranjo. 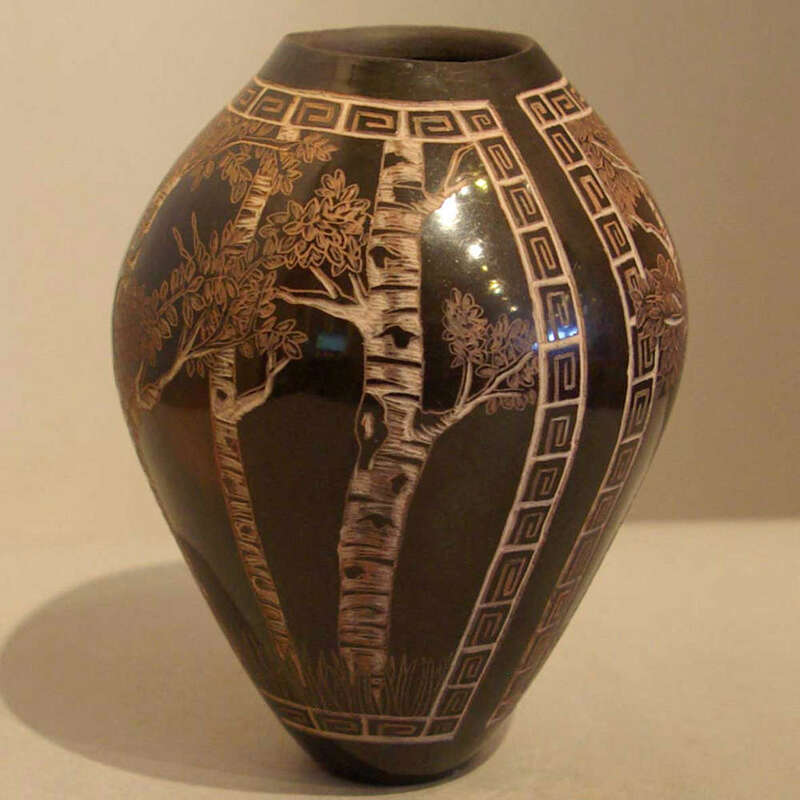 He began working with clay early in life and developed his own distinctive style. Johnathan has also developed a keen sense as to when to pull something from the fire in order to get a dark brown product rather than the usual black. 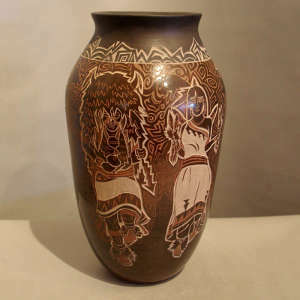 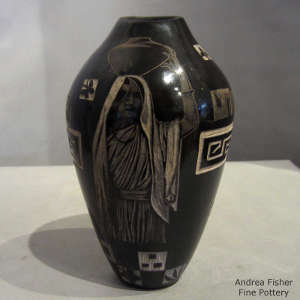 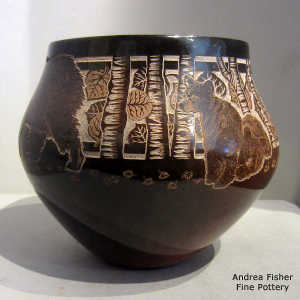 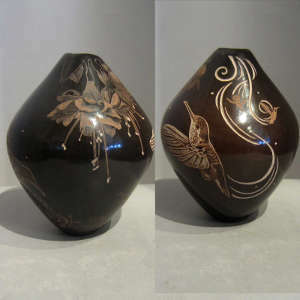 Then he uses his sgraffito tools to add a mix of contemporary and traditional designs. 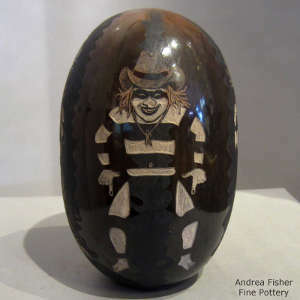 Because of his firing process, he can get varying colors in his sgraffito work depending on the depth of the scratch. In 2013 Johnathan won the Tony Da Award at the Santa Fe Indian Market for his intricate and innovative style of pottery.